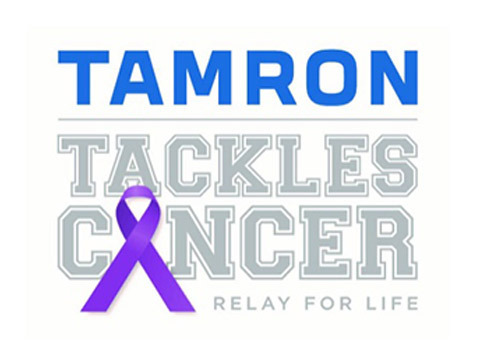 Commack, NY—Tamron USA’s corporate team, Tamron Tackles Cancer, will participate in the Northport, New York, Relay for Life event for the second year. The event, on June 8, 2019, is the signature fundraiser for the American Cancer Society. Moreover, each year volunteers in thousands of communities and 27 countries staff and coordinate the event. “We are proud to aid in the fundraising efforts for the American Cancer Society. On the day of the Relay for Life event, while raising money to support the important work of the American Cancer Society, we also will honor the lives lost to cancer, support those battling the disease and celebrate survivors,” stated Stacie Errera, chief marketing officer of Tamron USA. The event is also open to the public, who can participate in many activities throughout the evening. Survivors and caregivers are encouraged to come for a survivor reception and walk the first laps of the night. Tamron set a fundraising goal of $10,000. 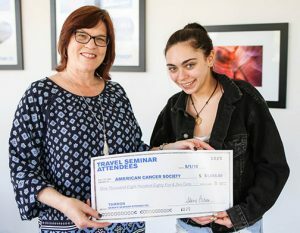 In addition, the company scheduled a series of benefit educational sessions as its 2019 fundraiser. 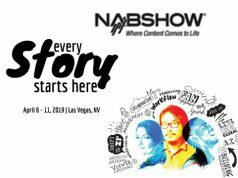 Tamron scheduled four photography seminars at its Long Island headquarters in March through May. Tamron Tackles Cancer held a photo seminar for 65 shutterbugs led by professional photographer André Costantini at Tamron USA headquarters. The team raised more than $1,800. Pictured: Stacie Errera and Sydney Flem. Also, professional photographer André Costantini will lead a Tamron photo walk on the NYC High Line in April. 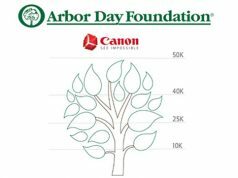 Moreover, 100% of the $29 seminar fee and $59 photo walk fee are donated to the American Cancer Society. Attendees can register for the next seminar and photo walk at http://www.tamron-usa.com/relay/. The NYC Highline Photo Walk with André Costantini is on April 27. In addition, the Controlling and Creating Light (Portraits) seminar with Rick Friedman is May 2. To learn more about Relay for Life, join team Tamron Tackles Cancer or make a donation, click here.